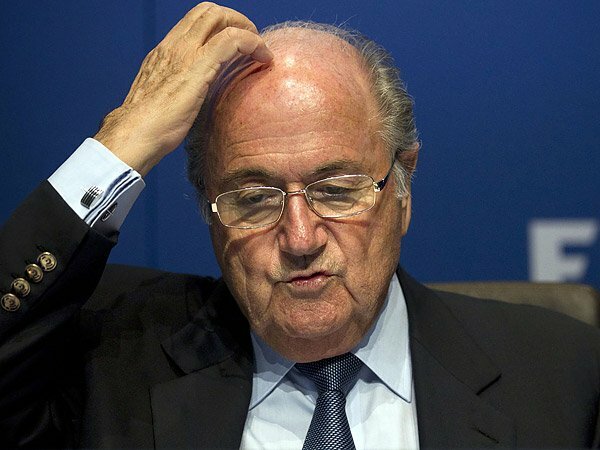 Soccer’s governing body FIFA has decided to provisionally suspend its president, Sepp Blatter, for ninety days. Members of FIFA’s ethics committee met this week after the Swiss attorney general opened criminal proceedings against Sepp Blatter, 79, in September. They have recommended a 90-day provisional suspension. Swiss Sepp Blatter is accused of signing a contract “unfavorable” to soccer’s governing body and making a “disloyal payment” to UEFA president Michel Platini, 60. Sepp Blatter, who has run FIFA since 1998, and Michel Platini, who wants to succeed him, deny any wrongdoing. A final decision will be made on October 9 by Hans Joachim Eckhert, the head of FIFA’s ethics adjudicatory chamber, according to a close friend of Sepp Blatter. No decision has been made on whether to suspend Michel Platini. On October 7, Sepp Blatter told a German magazine that he was being “condemned without there being any evidence for wrongdoing”. The ethics committee’s adjudicatory chamber had been meeting in Zurich since October 5. The investigation is centered on allegations believed to be around a 2005 TV rights deal between FIFA and Jack Warner, the former president of CONCACAF, the governing body of football in North and Central America and the Caribbean. It is also examining a payment of 2 million Swiss francs that Michel Platini received in 2011 for working for Sepp Blatter. He claims it was “valid compensation” for work carried out more than nine years previously. Michel Platini has provided information to the criminal investigation but said he has done so as a witness. Swiss prosecutors said Michel Platini is being treated as “in between a witness and an accused person” as they investigate corruption at FIFA.